You are at:Home»Book Review»‘Sweet is always in style’ review my book! ‘Sweet is always in style’ review my book! BOOKS ARE ALWAYS IN STYLE! 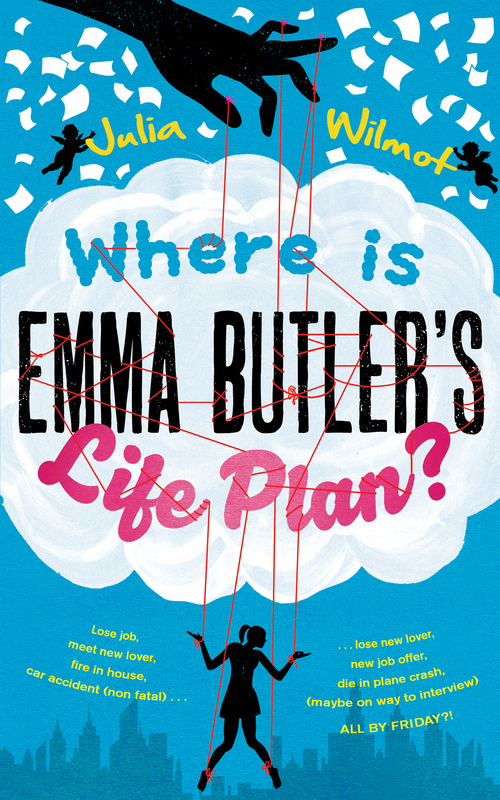 When Julia Wilmot got in touch with us about her book “Where is Emma Butler’s life plan?” I couldn’t resist it. I found it quite funny that a book about divine intervention and guardian angels was being sent to me just as myself and my husband have been learning more about Buddhism and enlightenment and talking about life paths and meditation. I feel as though it came just at the right time, as I don’t think I would have grasped it as well had I read it before all of that. All I can say is that I thoroughly, thoroughly enjoyed it. To me, this is such a cleverly written book, one that brings lots of discussion and thought with it. “Where is Emma Butler’s life plan?” is a story about a mix up taking place in Heaven between two individuals life plans. This leads to a rush of activity as guardian angels dive into action to make sure that Emma Butler completes all the things on her life plan before she is recalled to Heaven in a weeks time. Archangel Gregory can not believe she has not completed anything on her list yet with only a week to go. What has her guardian angel been doing all this time? He decides that rules may have to be altered slightly to get the job done, but what about other people’s life plans? How will this affect theirs? What will that mean for everyone else? These minor details don’t matter too much at the moment to him, he just needs to get things ticked off Emma’s list. In all his haste, he has no problem putting the blame on everyone else and fails to find out what happened for him to end up in this mess to begin with. Was it a mistake, accident, coincidence? He’ll find all that out later, as for GOD, he knows the answers already! I feel as though my description really doesn’t do this book justice, as it is so much more than just one simple plot. Not only do we meet Archangel Gregory but there are all the Guardian Angels of every character we meet, Emma, her friend Lizzie, Jack, the taxi driver and so on. They all have their own history and stories going on as well as those of these main characters. The story is so very entertaining and easy to follow. It’s a page turner because you want to know what the Angels are going to try and do next to complete their tasks, or how Emma is going to react to sudden changes and emotions, then you want to know why the whole thing happened in the first place and what lessons you are going to learn from it. It is a wonderful story, so very well thought out and written. It’s a thought provoker because it is genuinely extremely interesting to think about us all having guardian angels who are trying to keep us on our own path, a path we have already planned for ourselves. I loved this idea, it made me smile immensely, just the thought of being looked after and the idea that there are no coincidences, rather a little divine intervention keeping us on these chosen paths. Thank you Julia for sending your fantastic story to me. I can not wait for your next one! You can find “Where is Emma Butler’s life plan?” here!